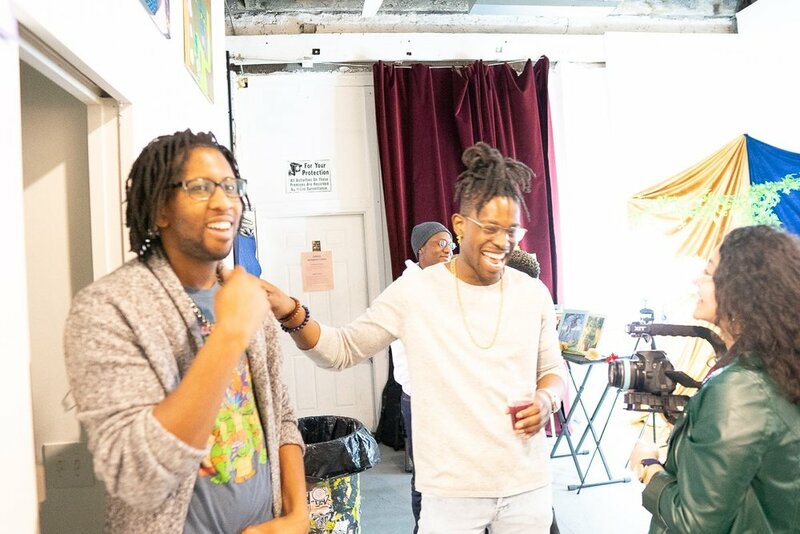 On Sunday March 17th I had the pleasure of being one artist among 12 other dope, talented individuals featured in The Roux’s “Still Black” event. This was The Roux’s 2nd event and it was nothing less than amazing. The Roux is a collective of 11 creatives, including our own Ashley Fern, who’s mission is to manipulate space to expand creative expression for people of color… anytime, anywhere. On the other side of the room guest were able to paint on their communal art wall consisting of 3 large pieces to add to. The 2nd room had a more chill tone to it with projections of black media throughout history as well as a meditative tent where one could sit in & write out affirmations & goals for the year. All of this happening while DJs @beenbunns, @bachtroy, and @myahmoves kept the crowd litt with dope music mixes. Everyone I spoke to during the event had the same thing to say, Still Black was truly a vibe. Drinks were flowing, incense in the air, nothing but positive vibes. Be sure to follow @wearetheroux & look out for their future events. Check out a few photos from Still Black below! More photos to come with the official launch of wearetheroux.com.